Earnings HQ: FBN’s Adam Shapiro breaks down CMG’s second-quarter earnings report. Chipotle Mexican Grill Inc (NYSE:CMG), one of the top-performing U.S. restaurant operators, on Monday reported a nearly 26 percent jump in quarterly profit after traffic to the burrito chain surged despite a menu price increase. The better-than-expected results prompted the company to boost a key sales forecast, and Chipotle shares soared almost 10 percent in after-hours trading to $646.71. Chipotle&apos;s stock, which was trading around $400 a year ago, is at all-time highs as many other established restaurant chains struggle to increase sales amid tepid economic growth and a move toward fresher and less-processed food. 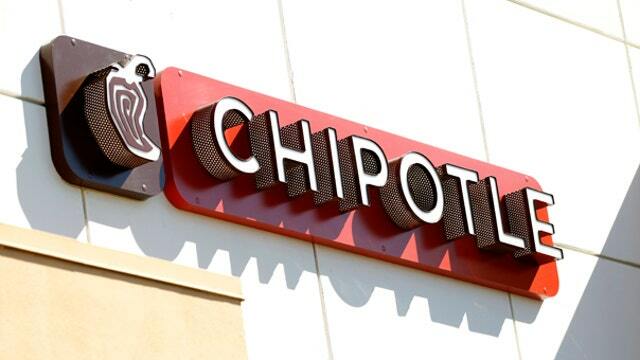 When the stock market closed on Monday, Chipotle had a market value of more than $18 billion. That was twice as much Burger King Worldwide, but still significantly less than former owner McDonald&apos;s Corp, with its market value of more than $96 billion. Denver-based Chipotle is known for serving antibiotic-free meats and organic produce. It has a loyal following among sought-after teen and young adult diners and is an investor favorite for its ability to crank sales out of its existing restaurants. To that end, executives said on a conference call that Chipotle&apos;s service is the fastest it has ever been, due to added staff, increased training and software that analyzes performance. And, they said, service can keep getting faster. Sales at Chipotle restaurants open at least 13 months, a closely watched gauge of industry performance, increased 17.3 percent for the quarter, blowing past 23 analysts&apos; average estimate for a gain of 10.5 percent. Chipotle reported a 13.4 percent same-restaurant sales rise for the first quarter. Chipotle is an outlier in the U.S. restaurant industry, which saw same-store sales rise just 0.3 percent in the second quarter, according to Black Box Intelligence, which tracks 19,000 restaurants. Based on last quarter&apos;s gains, Chipotle raised its forecast for same-restaurant sales growth, calling for an increase in the mid-teen percentages, versus its prior target for a high-single-digit percentage increase. Chipotle&apos;s second-quarter net income grew to $110.3 million, or $3.50 per share, from $87.9 million, or $2.82 per share, a year earlier. Revenue increased almost 29 percent to $1.05 billion. Chipotle raised prices during the second quarter to help offset higher costs for ingredients like beef, avocados, and dairy. While more people ate at the chain, some diners did switch from pricey beef to lower-cost chicken, executives said.